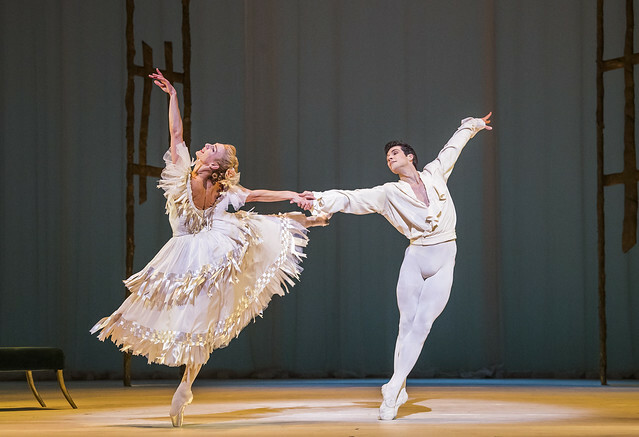 What did you think of The Dream / Symphonic Variations / Marguerite and Armand in cinemas and at BP Big Screens? Absolutely stunning evening , all three ballets and individual performances out of this world. Such beauty and the emotion of Zenaida's fairwell too . Just back from the live Cinema streaming, and what a show. Naming anyone for special merit is unfair, every single performer was outstanding, probably better than any interpretation of these three productions than there has ever been before. However, I must say that Zenaida appeared to be at the peak of her career and not the end and never was there a more sylth like, but strong and believable, representation of Titania than that of Akane, whilst Symphonic variations was so crisp and precise as to have been computer synchronised . If anyone missed all this, then it is their sad loss. What can I say...? My first time seeing ROH Live Big Screen. I went only to see Symphonic Variations which was so stunning, the music so pure, the dancers so precise, sharp, balletic...I cannot put it more into words. Absolutely STUNNINGLy moving. I was in tears at the end and didn't want it to stop, as the Opera House audience rightly called More, more! I haven't seen it for 30 yrs. PLEASE PLEASE PLEASE, put it on a DVD together with Monotones, and Month in the Country. Immediately I got home, I looked at it on YouTube....but it's not the same as the Big Screen. It's nice, but doesn't grip and move you. The Dream? Again, haven't seen it for 30 yrs. Costumes beautiful, Ashton's trademark "stuttery" and so-rapid steps lovely. But only a bit of fun, rather childish. Marguerite and Armand? Zenaida absolutely stunning! I've never heard of her, but was in tears at her final goodbye curtain calls, to see all her "old" partners..including wonderful Jonathan Cope. Always a pleasure to,see Anthony Dowell. I felt privileged to be "there" watching. Can't wait for Manon. Tho I'm tired of Nutcracker and Swan Lake. This was for me, a real Tour de Force. I shall re-live it for weeks. Symphonic variations transcendental perfection. The Dream perfection though for me Oberon was Perfection! Zenaida Yanowsky is THE most beautiful perfection of a ballerina - and so versatile - I shall also remember for ever her Queen of Hearts. Thank you all so much for a perfect evening of inspiration. A truly wonderful evening watching the Ashton mixed programme at my local cinema. It was a privilege to see Zenaida's final, heartbreaking performance - such a beautiful, elegant dancer - and I was delighted that the live broadcast showed the company's tribute to her. Congratulations to the whole company - you are the best! Will there be PLEAAAASE a DVD?! When I returned from the cinema I immediately came onto my iPad and left a long (!) comment which included your question - a DVD please, please, please. I had a reply by the following morning. No plans for a DVD. And all I want is Symphonic Variations, 20 mins. Once a year or so, I write and ask the shop, customer service, anyone I can think of who might have authority to authorise a dvd. The answer is always the same to my request for the ballets I want....No. The choice in the shop is dire. I want also Monotones - but it's in the ludicrously expensive 15 disc set! I want Month in the Country, Elite Syncopations, Concerto, 4 Schumann Dances if that's the correct name. Abpnd many more. Why do they put on disc only modern mixed bills, and the big classics? Are the powers that be afraid if the ones danced on stage infrequently are out on disc we'll buy the DVDs and never go to the Opera House? Quite likely for me as I live a long way away in the country and I am 78! I've SEEN all the big classics. I LOATHE modern ballet and the modern choreographers ballets....sorry, but I do. Can't the Royal Opera House now give pleasure with DVDs to those who regularly went to see ballets in their past but like me, can no longer do so? When young and taking classes I also went to see the touring company - 2 weeks, 3-4 ballets a week, I would go to every single ballet performed. For years I did this. Am I not a faithful follower ... and "customer" to put it in money terms? Can I not be "rewarded" with good DVDs of my choice? There is just no choice in the Shop. And far far too expensive, but I'd buy for my choice of Symphonic Variations, Monotones, and Month in the Country on one disc. Is it copyright to the BBC for films/performances/Jubilees they've televised? Or to the retired-now dancers? Well PAY IT! Why hold in on to films, wonderful televised films, no one now ever sees? What about Margot's The Magic of Dance series? Natalia Makarova's amazing 4 part series called Ballerina? Why can't they, and all I've listed, be put on disc for new generations to see? PLEASE?! Just wonderfull. All 3. Miss Zenaida was so beautiful. Tears. And Vadim stond out. Looping forward to the next cinema performance. Thank you Royal Ballet. Love from Holland. It was beautiful. Will there be a DVD? Three diverse ballet performances, each one exquisite in every sense of the word, a night to remember. Zanaida, moving tributes and an abundance of flowers, rapturous applause so well deserved, memories to treasure. Thank you to all three casts. The whole performance was absolutely sensational. I could not fault anything. Even the solo piano was incredible. Thank you ROH Corps de Ballet for a wonderful evening and a stunning cinema season. Being al little disappointed on studying next seasons program for screen compared with what is on stage. Why are so much ballets among the "chosen ones" we already know on silver screen and not more "new ones"? DVD please! We haven't had a DVD recording of the Royal Ballet in The Dream or Symphonic Variations since.....since.... ok, none since DVD technology was invented. Plus, Ms Yanowsky's performance as Marguerite is one to cherish for future generations as well as her numerous fans. No DVD/Blu-Ray release has yet been confirmed, but watch this space! I went to the ROH on Saturday to see the Ashton triple bill and then to see it again at the cinema last night. If it was on again tonight, I'd be there. Absolute magic. Royal Ballet live last night in France. Nothing but praise and admiration for the choice of ballets, the dancers, the orchestra, the two pianists and the filming. There were oohs and aah and rounds of applause in the audience. And lots of laughter. But, and there is a but. There were tentalising snippets of dancers speaking about Ashton and the way he worked (in English) and even shorter and more tentalising glimpses of dancers rehearsing (in English) - but because there was visual material, some members of the audience could at least guess what was being said - and asked for further translation during the intervals. But there was far too much talking before the show began and during the intervals by the two presenters. The audience didn't understand a word of what they said. Even the discussions with O'Hare were disappointing. Fortunately, most of what was being said was uninteresting and irrelevant. The RB has two excellent, lively presenters in McNally and Campbell (and others? ), why does it insist on pushing these two to the forefront? The moment that infuriated many in the cinema was when the camera switched away from Yanowki's moving farewell back to the two presenters. Why? This should have remained Yanowski's moment, without further distractions! I am sorry to hear of your experience at our live screening of The Dream/ Symphonic Variations and Marguerite and Armand. I will be in touch further to find out more details. Hopefully then we can resolve these issues for future screenings. For those of us who adore ballet but have trouble getting out, please PLEASE can we have a blu-ray of this? So please take this request seriously & see what you can do! So here's hoping on both counts...! I love, love, LOVE all you do. I have now seen this twice, once live and once in the cinema and it just got better and better, the whole evening just built and built to the piece de resistance of Zenaida Yanowsky and Roberto Bolle in Marguerite and Armand. Three very different works, oozing talent throughout the company and as it should be, providing the perfect entertainment. That was just such a lovely and fitting tribute to Zenaida at the end and was beautifully done. The only unfortunate thing is that have to wait a long time until the next cinema offering, so will definitely be watching this space for future DVD release and also hoping beyond hope that we see the incomparable (in a certain type of role), Roberto Bolle and his beautiful lines and strong partnering, at the Royal Opera House soon, although, the partnership with Zenaida Yanowsky is something that has been fashioned over many years and it was a fitting way to mark this. Zenaida, you were and still are, a class act. Absolutely enchanted watching this in Newcastle last night! All three ballets were better than excellent, and as for Zenaida? Well, what can one say? There are insufficient superlatives to describe her and her dancing! A most memorable finale to an illustrious career as a Royal Ballet Principal Ballerina. So moving. I lay awake for hours thinking over the performance and wishing that I too had been there "raising the roof" and throwing flowers! There are no superlatives good enough for such a truly magnificent ballerina in her final, moving performance as a Principal. I saw the triple bill at Beckenham Odean . It was excellent but spoilt somewhat by the poor reception. The picture kept going funny and the sound went only for a short while but frequently. I don't know who or what was responsible. This has happened before and it is irritating. I noticed there were a lot of empty seats are people getting fed up?. I am terribly sorry to hear about the problems you experienced on Wednesday. We had no technical issues on the night so we will investigate this further with your local cinema to hopefully resolve it for future screenings. My daughter and I are devastated to have missed this last night! Will there be an Encore screening of the performance ( we live in north Devon) ? Or at least please give us hope that we might be able to see it on DVD soon!?.. Thankyou! I went to my first live screening last night. What a treat to be able to see the dancer's expressions. I usually sit in the amphitheatre and have a wonderful view of the dancing but here I was blown away by the dancer's ability to act as well! I thought Zenaida Yanowsky was sublime in Marguerite and Armand and disgree with the FT review that the dance is out-dated! What a wonderful send off. I felt privileged to share it. Thank you ROH for screening it but please in future get the sound connection working from the off! Sorry to hear about the technical problems where you were watching, Claire. Could you let us know which venue you were watching from? Our technical team will liaise with the venue to investigate. What a wonderful treat! Glorious dancing! Thank you so much to everyone involved. A wonderful night at the cinema. I wondered if the programme was made in response to last years' on line feedback on Ashton ballets we would like to see again? What a privilege to see so many wonderful dancers and Henry Danton by Video at 98! Like Steve I saw this last Saturday and then again at the cinema. Both excellent performances from all the dancers. Lovely to see Zenaida's farewell, I will miss her but have many happy memories of her performances over the years. A DVD of the cinema performance would be lovely. A DVD would be much appreciated! This was a truly special evening. The RB currently has an amazingly talented set of dancers and these performances deserve to be watched again and again. PLEASE ROH/RB we want the DVD!!! What an absolutely stunning Triple Bill to end this Season, what an amazing dancers we got to see last night in the cinema. The RB at its ABSOLUTE best. Symphonic Variations brought tears to my eyes, what a perfection - honestly the RB made me forget all the horrors in the world, I was in heaven...and it was hard to come back to earth. Bravo to all!!!!! What an enchanting and emotional evening. From the joy and comedy of The Dream, the purity and beauty of Symphonic Variations, and the gut-wrenching heartbreak of M&A (in which I embarrassed myself by crying all my makeup off), it was a truly special broadcast. What a privilege to see such exceptional casts and to witness Zenaida's flower throw and curtain call. PLEASE may we have the entire thing on DVD? Another call from a DVD from me! Performances and productions absolutely spellbinding. Only marred by poor reception. We suffered some loss of sound-only brief but enough to break the magic and the concentration, and some break-up or freezing of picture. It was fine in the final ballet but at its worst in Symphonic Variations esp in the quiestest moments of the music. It really affects the concentration because once it's happened a few times you're constantly waiting for it to happen again. Venue was Leighton Buzzard Library theatre. I am so pleased you enjoyed our production of The Dream/ Symphonic Variations and Marguerite and Armand last Wednesday. However, I am sorry to hear of the poor reception that you experienced. We had no technical issues on the night so we will follow this up with your local cinema to hopefully resolve this problem for future screenings. Please, a DVD! Symphonic Variations is such a beautiful gem, especially with this cast, that it ought to be preserved for posterity. Vadim and Marianela were just so beautiful, together and individually. There is no other male dancer in existence with such natural elegance and grace. And Zenaida made me cry in the cinema! What a wonderful dancer and woman, and a beautiful send off. 12,000 miles away (New Zealand) it is impossible. It would be gratefully appreciated. A special evening at the cinema on 7th. I love 'The Dream' ballet. Choreography and Mendelssohn's glorious music a perfect fit. Loved Valentino Zucchetti as Puck. Symphonic Variations a complete contrast, pure elegance, and then the emotional drama of Marguerite and Armand - followed by the emotion of Zenaida Yanowsky's farewell What an evening! As a postscript, re the requests for a DVD, I am still hoping for one of last Christmas's 'The Nutcracker' as the live relay was such an incredible performance by all the cast and Peter Wright had added some new choreography. An issue just before next Christmas perhaps? Please, please can we have a DVD of this wonderful Triple Bill? My cinema in Wisbech didn't show it (or Jewels), and they only seem to have the very well-known ballets. To my knowledge there is no recording of either The Dream or Symphonic Variations? It would be so amazing to have a record of these amazing casts of the RB at this time. I remember that when Tony Hall was in charge he spoke of the possibility of making downloads of performances available. I don't know what's happened about that, but it might be a cheaper option than producing a DVD. Or the BBC could at least televise it. Chris Shipman says above "No DVD / BluRay release has yet been confirmed, but watch this space!" Therefore I live in hope that the numerous pleas on this blog will prove fruitful! May I add the request that Zenaida's final curtain call, floral presentations and Kevin O'Hare's tribute will be included in their entirety, not severely edited as happened with Carlos Acosta's final main stage curtain call. In reply to Margaret Lavender's comment above ..... Margaret, if you go to 'Shop' here on the ROH website, you will find that "Monotones I and II" is available on the "Ashton Celebration" DVD and BluRay, with cast who are almost entirely still with Royal Ballet. "Concerto" and "Elite Syncopations" can also be found on the McMillan DVD and BluRay, in combination with "The Judas Tree"
I wholeheartedly agree with your request for a disc with "A Month in the Country" featuring Zenaida and Rupert Pennefather. I have requested this frequently here on this blog! I suggest now that Opus Arte produce this on DVD and BluRay for us, in combination with Zenaida dancing with her recent dance partner, rising star Reece Clarke, in the wonderful "After the Rain" and In Liam Scarlett's fabulous new work "Symphonic Dances". That would be such a fitting tribute to the talents of Zenaida ...... talents which I hope we are going to enjoy for years to come at the ROH as a guest dancer. The performances were wonderful but I still have the feeling that there is too much clever camera work which does damage to the cinema audience's appreciation of these works and their choreographic structure as a whole. A work like Symphonic Variations is about all six dancers on the stage nor just the best known ones. The last time that this work was filmed was as part of the mixed bill which marked Bussell's retirement.The choice of shots for each ballet on that occasion seemed far less busy. The filming undertaken by the BBC at that time conveyed a much better idea of the ballet and its structure. However even this account of the ballets in this mixed bill, even if not ideal, would be welcome. So what about a DVD? I have a couple of questions which I hope someone will answer. If Ashton is so central to the company's identity and its repertory why does it give so few performances of his works each season? Nine performances of Sylvia next season and a eight performances of Marguerite and Armand in a mixed bill suggests marginalisation rather than centrality to me. If the company is not going to revive Daphnis and Chloe why does not it issue the recording made in 2004 on DVD ? At least then people would have access to another of Ashton's masterpieces. Finally when are we going to see Cinderella again and the full range of Ashton's one act works such as Facade, Les Rendezvous,Les Patineurs. Les Illuminations, Jazz Calendar and a Wedding Bouquet? These works give young dancers the opportunity to dance and develop their artistry in a way that the big MacMillan ballets do not. I add my voice to all the pleas for a DVD of the cinema transmission of the magnificent Ashton triple bill last week which I saw in Southern Spain. And I will also add a "thank you" for listening to all our pleas for a DVD of the Nuñez/Muntagirov "Giselle". Why is my comment still waiting moderation after posting 3 days ago???? PLEASE ROH/RB we want the DVD!!! What an absolutely stunning Triple Bill to end this Season, what an amazing dancers we got to see last night in the cinema. The RB at its ABSOLUTE best. Symphonic Variations brought tears to my eyes, what a perfection - honestly the RB made me forget all the horrors in the world, I was in heaven...and it was hard to come back to earth. Bravo to all!!!!! More than several strong hints given that Zenaida will be back. What more fitting than a return as next seasons 'Queen of Hearts'. After all, who could perform that unique role with such comic and artistic perfection. The answer is, no one, not on this Planet, nor the nearest parallel Universe. So as commented Kevin, get down on your knees and beg ???? At the encore screening at Beckenham Odeon. The signal is terrible and you cannot see or hear the performance. Absolutely disgusted and a very disappointed audience . I would expect better from a partner of the ROH. They say that they cannot restart the showing. VERY UNHAPPY. I am sorry to hear that you experienced poor signal at your encore screening of The Dream/ Symphonic Variations/ Marguerite and Armand. We had no technical issues on the night so we will follow this up with your local cinema to hopefully resolve this problem for future screenings. I thought that 'Dream' was the most entertaining ballet I have seen for years. I desperately want to see it again! Please, please make a DVD available with this cast so that we can all relive this wonderful performance! All I can say about the Ashton screening on Wednesday last is HEAR, HEAR, to all the foregoing comments. 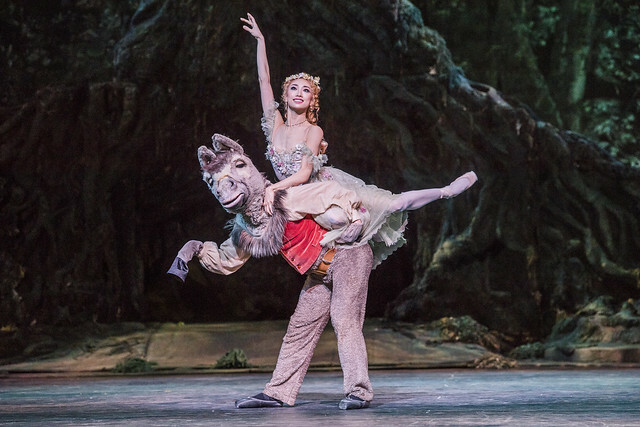 I was a bit sad when I saw Sarah Lamb wasn't dancing Titania but Akane did not disappoint - I thought the role might have been made for her. Everyone was superb so it was a lovely treat for my birthday (6 June). Yes to all the comments about DVD - I buy them all - even more Swan Lakes and I have fifteen of them to date. But to my sorrow I have lost my videoof Frederick Ashton coaching The Dream with Antoinette Sibley and Anthony Dowell. Wish TV would screen more, they don't seem to realise that there is an audience for ballet, but so many of us cannot get to see it live. That is why I am so thrilled with the live cinema options now, especially as I find it too difficult to get to a theatre even when a ballet is on. Thank you Royal Ballet, keep on dancing. OOps - forgot to say my daughter was really upset to miss this one as she was on holiday and not near a cinema. I have promised her a showing of DVD if it comes to fruition. So please help me to keep this promise! I agree wholeheartedly with Floss' comments, there is far too little Ashton danced by the Company each season. It should be a point of shame to the RB that companies in other countries are doing a better job of preserving the legacy of Britain's greatest choreographer. This revival was very satisfying and a DVD/Bluray would be most welcome. Please could you consider making these performances available to buy via iTunes? That way, it can be watched in a multitude of ways, including on an iPad, and is a great way of connecting with the younger generation who expect performances to be available to download. So far, I have only found the great Bayadere with Rojo/Acosta/Nunez available from iTunes. Please do consider this. Just so emotional- that's all I can say! A shame that the picture pixelated occasionally and the sound cut out a lot - Llanelli Odeon. Many thanks for letting us know about these issues experiences at your cinema. We will follow up with the venue to see if we can help solve them for future screenings. In reply to Chris Shipman (Head of Brand Engagement and Social Media) who responded to my comment on 8 June 2017 at 7:08pm, I was watching at Putney Odeon. We opened with subtitles and no sound. I reported it to the staff. They removed the sub-titles but we were left with the picture and still no sound and then finally just before curtain up we got both picture and sound much to everyone's relief! It was a shame we missed the main introduction though so any advice you can give them would be welcomed. I attended the first night on Friday 2nd June and as we all know all three dances were danced to utter perfection. The cinema showing was just an opportunity for me to see these dancers again, dancing as if it was the first performance, totally entrancing. It is now three weeks since we were instructed to "watch this space" regarding a DVD. I do hope we are not to wait the 6 months it took to make a decision on the Giselle DVD last year. I have two points to make regarding a DVD. Firstly there will have been many, many people watching the cinema streaming who could not possibly get to the ROH, for a variety of reasons - health, distance, finance etc. Some would not even have been able to see it at the cinema and some will not have heard of it but friends would like to give them a copy of the DV|D|, Why should these people be denied an opportunity to see this exquisite dancing when the techniology is available and the performance is in the can? It staggers me. But secondly with the streaming sent to over 800 cinemas and 25 countries isn't it just a glorious maketing opportunity to have DVD advertised in the cinema and what a wonderful revenue stream for the RB. Again this missed opportunity staggers me. One can buy so much absolute rubbish on a DVD surely we should be trying to promote excellence. I should also add that there are obvious contractual and other financial and administrative considerations for a DVD and one would certainly hope the dancers would benefit financially, after all they are not paid a Kings ransom as it is so any extra income for them would be excellent. It just needs fixing!! I'm so glad you enjoyed the performance, and yes, I totally understand your point regarding the number of people who couldn't have been able to see the performance at the cinema. Unfortunately, I've been informed we're unable to create a DVD of this performance - it's not as simple as sharing the final performance which went out on cinema screens, I'm afraid. Thanks again for your enthusiasm. Thank you for your prompt reply. I will just say that that is so very disappointing. Just got home from watching The Dream/Symphonic Variations/Marguerite and Armand. Unbelievable performances. I was mesmerized especially by the principal dancers of Marguerite and Armand.,., Zenaida Yanowski, her last performance.... just breathtaking! Symphonic Variations is a masterpiece. Not only for the choreography but also for the costumes, lighting, and set, all play an essential part in the perfection. Add to this fantastic camera and staging work, a great pianist and beautifully matched dancers this was quite simply an astounding, cinema experience. The Dream was delightful, really well done. only very slight distraction Titania's pointe shoes looking less than pristine especially on the right foot or was it something to do with the light ? It is brilliant to experience the Royal Ballet from the other side of the world. I watched the recording of this Ashton Programs on Cinema in Tokyo this week. All of three programs is so nice and I understood easily the characteristics of Ashton's Ballet through these programs. By the way, I couldn't access the Dream mixed Digital Programme with promo codes you informed before, 'FREEDREAM' or 'FREEASHTON'. Has the promo code changed? Sorry for the frustration. The code for this programme has expired, but I will pass your email address on to our Box Office who will be able to give you access for free in this case. We have changed the validity of future programme codes so this doesn't happen in future. Hi Mel, According to several distributors recent listings, it appears that the DVD and Blu-Ray are about to be released this month. Can you check and confirm and if so, give a telling to those who advised you otherwise. Quote :- "Unfortunately, I've been informed we're unable to create a DVD of this performance - it's not as simple as sharing the final performance which went out on cinema screens, I'm afraid." Thank you for your comment. Since we posted that we were unable to release this performance on DVD back in June last year, the Opus Arte release schedule has been updated, and we're very pleased to be able to release this on 8 July.